It’s January, and that means that the deadline for StudentCam 2018 is rapidly approaching. Submissions to the contest are due by Thursday, January 18. You can read more about using StudentCam in your social studies class here. While you’re spending the week putting the finishing touches on your documentaries, I thought it would be a good time to take a look at some of the StudentCam 2017 winners. The three videos below – the grand prize winner and two of the four first prize winners – are all great in their own way, but they demonstrate a variety of different approaches you can take to the competition. Let’s take a look at each of these three StudentCam examples and think about what made it a winner. Last year’s grand prize winner was “The Tempest Tossed,” by Mia and Ava Lazar. They’re sisters from Blacksburg, Virginia. The older sister was in 9th grade and attends Blacksburg High School, while the younger sister was in middle school and is home schooled. Their documentary riffs off a major theme of the campaign trail – the refugee crisis in Syria – and reframes the issue from whether Congress should help refugees to how we could help them. Their documentary is a great mix of clips from the campaign trail, interviews with experts about the current situation, and a history lesson. They included two key pieces of content from the C-SPAN video library. In the first, Donald Trump is on the campaign trail talking about the problems and dangers posed by refugees. In the second, Ted Cruz also makes the argument that refugees are tied to terrorism and thus are unsafe. After setting the stage, the girls rely on interviews with policy experts to counter the argument presented by Donald Trump and Ted Cruz. They interviewed a total of four people – David Bier, an Immigration Policy Analyst at the CATO Institute; Dave Ray, the Communications Director at the Federation for American Immigration Reform; Mark Hetfield, the President and CEO of the Hebrew Immigrant Aid Society; and Sara Jane Ibrahim, an Advocacy Officer at the U.S. Committee for Refugees and Immigrants. Each interview clip is maybe 30 seconds or less, so they’re nicely edited and woven together to help support the narrative. They also incorporated a 1945 U.S. Army newsreel clip as well as an interview with a Holocaust survivor, Nathan Kranowski, to support their historical references and explanations. The production value of the video is a little high, with some nifty animations and things in the background. But at the core this is an excellent example of a StudentCam video that is well planned and knits together a series of video clips, interviews, and voiceovers into one cohesive unit. If your students are having trouble with organization and planning, this would be a great video to dissect and storyboard to think about how it was put together. The first place winner from the High School East division was “Invisible,” by Matthew Gannon. 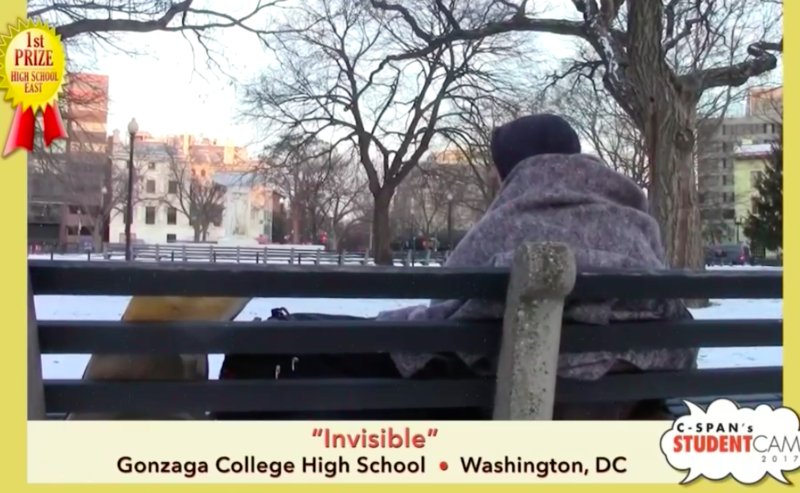 He was an 11th grader at Gonzaga College High School in Washington, D.C. Matthew looks at the problem of homelessness through the lens of Washington, D.C. 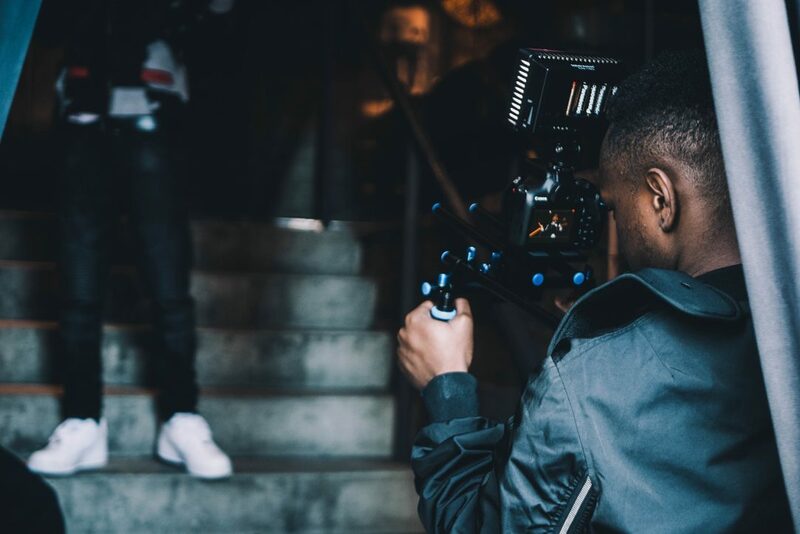 The driving force of the documentary is the Father McKenna Center – an organization that works with homeless men in D.C., providing them with help to get back on their feet and reintegrated into society. He interviewed three staff members from the Father McKenna Center – Ned Hogan, the Director of Development; Cortez McDaniel, the Director of Services; and Syd Slocum. He also interviewed a guest at the Center, Jesse, as well as another homeless man, Justin. There’s an incredible amount of great B-roll footage in the video. He filmed some iconic parts of Washington, and you really get a feel for the setting. It brought me back and made me feel like I was there. Most of this footage was either combined with statistics in an overlay or with a voiceover of one of the interviews. You can tell that he had done some in depth interviews with his subjects, and he took care to break them down and stitch the pieces back together into a logical order. In terms of C-SPAN footage, there was one short clip from Washington Journal. This is a great show to look at if you’re looking for content, as it has interviews dealing with just about every current issue you can think of. Two final things I really liked about this – a) he didn’t insert himself into the story and b) he made sure to interview people experiencing homelessness to tell their own story. The first place winner from the High School Central Division was “Enough is Enough,” by Jarod Clark. Jarod was a senior at Royal Oak High School in Royal Oak, Michigan. In his documentary, Jarod explores the issue of price gouging in the pharmaceutical industry. Although he opens with a shot from Congress, his documentary is very much grounded in his community. It tells the story of one of his classmates who required the use of an EpiPen to combat a life threatening reaction while she was at her junior prom. It’s clear that drug prices are a real issue with real consequences. This video makes excellent use of C-SPAN video clips. It draws heavily on a hearing before the House Oversight & Government Reform Committee. There are clips of several Congressmen speaking, including the chair, Rep. Jason Chaffetz. There’s also wonderfully incriminating footage of a CEO invoking his fifth amendment rights not to incriminate himself by answering any questions. This is balanced out by a speech given by Bernie Sanders, which gives this a feeling of bipartisanship. These clips are also wonderfully edited and spliced together to tell the story – instead of just being inserted wholly into the larger video. The documentary also incorporates four interviews. Dan Phillips, the local EMS coordinator, and Jeff Bennett, a local pharmacist, discuss the importance of drugs like the EpiPen and NARCAN. Meanwhile, interviews with a student at the school and an administrator give it a very personal feel. It closes with Bernie Sanders saying “Enough is enough – the greed of the pharmaceutical industry is killing Americans.” Wowza. What Lessons Can Your Students Learn from These Videos? Each of these documentaries was great, but they take slightly different approaches. 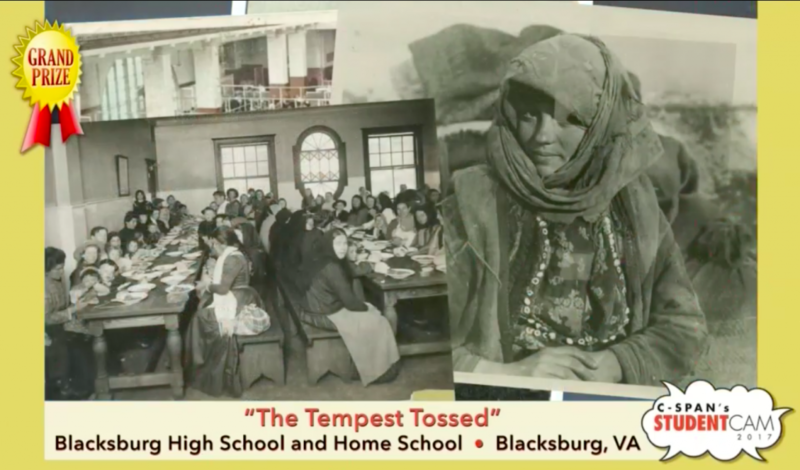 In “The Tempest Tossed,” the strength is the variety of experts who were interviewed. “Invisible” benefited from great camera work, a great set of interviews, and a very real sense of place. 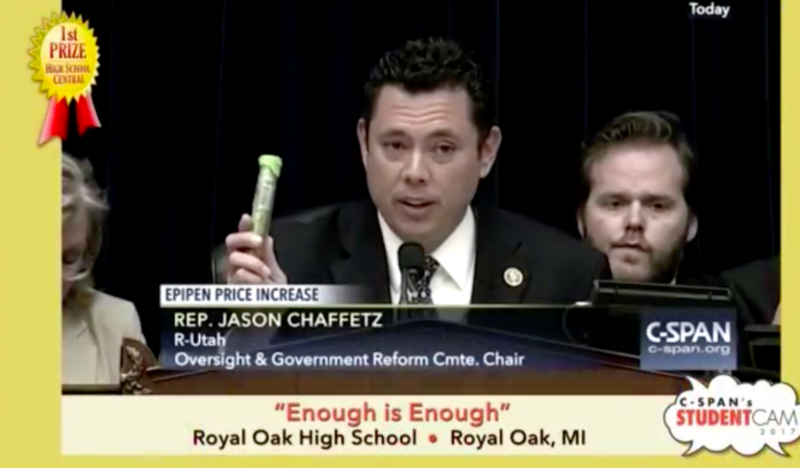 “Enough is Enough,” on the other hand, made excellent use of C-SPAN video footage to frame the story and evoke an emotional response from the audience. But you’ll notice a few similarities. Each of the three videos included some interviews. Your students are going to want to talk to somebody – even if they are just another student whose experience can help speak to the issue. Sure, interviewing your own Congressperson would be great, and it’s great to reach for the stars… but don’t feel bad if you can’t land that “star.” Each of the videos was also well organized and edited. Storyboarding is a must. You can’t just turn on the camera and talk. You can also see more of last year’s winners here. There’s only a couple days left before the deadline, so good luck to you and your students! If you didn’t have any students enter the contest this year, hopefully this will inspire you to plan ahead for next year and make sure that they get in on the action. Which of these three videos did you like the best – and what do you think made it a winner? Drop a comment below. Previous postThis Week in Civics: Should Voting Be Required?